The person of each individual human being, in his or her material and spiritual needs, is at the heart of Christ’s teaching: that is why the promotion of the human person is the goal of the Catholic school. Congregation for Catholic Education 1997, par 9. The Child Safe Framework and the Code of Conduct are clearly linked as both focus on the safety and well-being of our children. 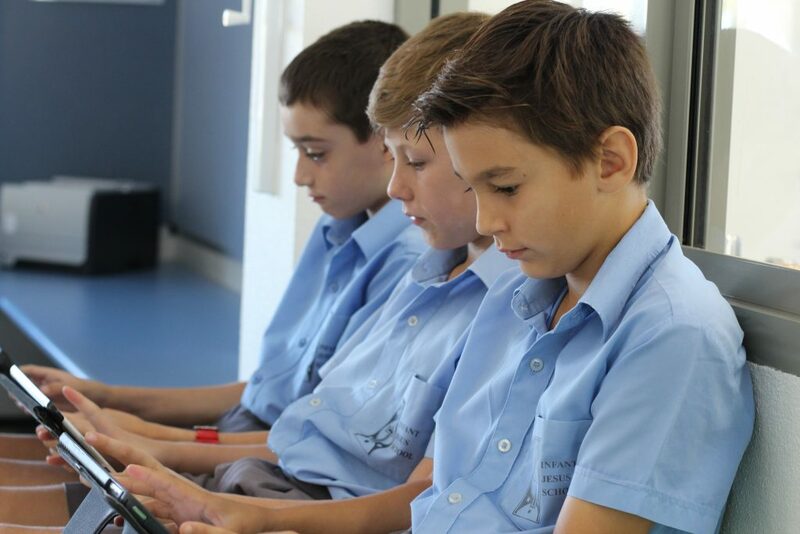 At Infant Jesus School the purpose of the Code of Conduct is to describe minimum standards of conduct in all behaviour and decision making to ensure the safety and well-being of students. The Code applies to staff, students, volunteers, parents and guardians and all who come to our school. The term ‘parents’ includes guardians. 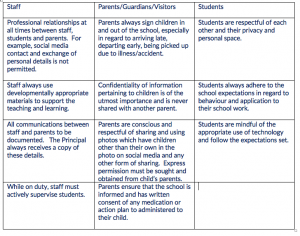 Infant Jesus School has a Code of Conduct in place, and as parents, you sign this at enrolment. Staff also are required to adhere to the Code of Conduct. What does this look like at Infant Jesus School? Some examples of expected behaviours and minimum standards are listed below. This is not a finite list. A breach of the Code of Conduct must be reported to the Principal, and it is a breach of the code NOT to do so. Mr Hille and I recently attended a ‘Keeping Safe’ training course at the Catholic Education Office in Leederville. ‘Keeping Safe’ is an instructional curriculum designed to teach children from 3 years old to Year 12 developmentally appropriate protective and keeping safe behaviours. School staff will receive this training on the Keeping Safe Framework over the course of the year. 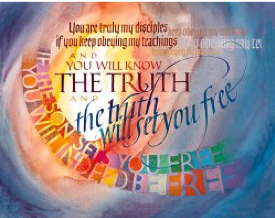 ‘If you make my word your home you will indeed be my disciple; you will come to know the truth, and the truth will set you free.’ (John 8: 31 -32).